Preheat the oven to 375 degrees. Slice the peaches, leaving the skin on. If you aren’t into peach skin, go ahead and peel it off before slicing the peaches and placing them in the bowl. Make sure to keep as much of the juice from the peaches as possible. Look how pretty those fresh peaches are! Then, add the sugars and lemon juice. Stir in the flour, baking power, and spices. I’m a huge nutmeg fan, so I like to add an extra dash of nutmeg. When you stir everything together, you’ll have a nice batter-type mixture thanks to the juice of the peaches. It should not be too thick (i.e. it shouldn’t look like cake or brownie batter). 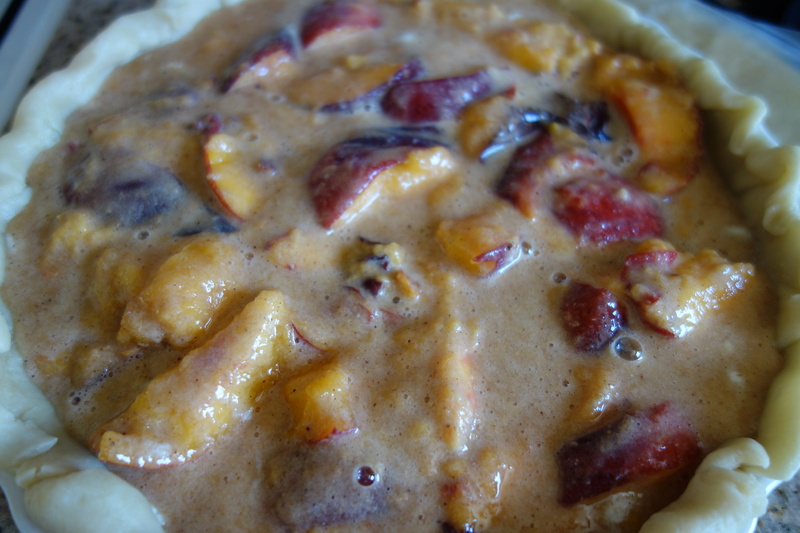 Put the pie crust in the glass or ceramic baking dish of choice before adding the peach filling. 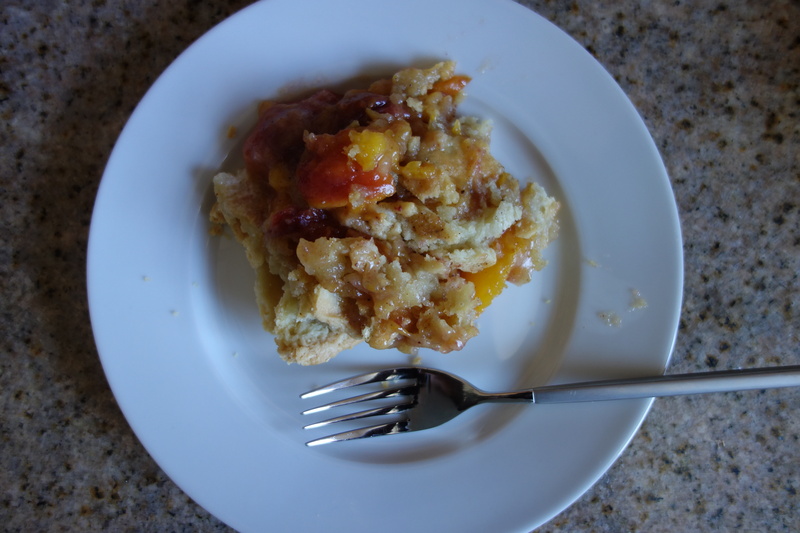 I used a tart dish, but you can also use a pie pan, 13″x 9″ dish or a round baking dish. Fill the pie crust with the peach filling. Add 1/2 tablespoon of butter on top of the peach filling before putting on the top pie crust. 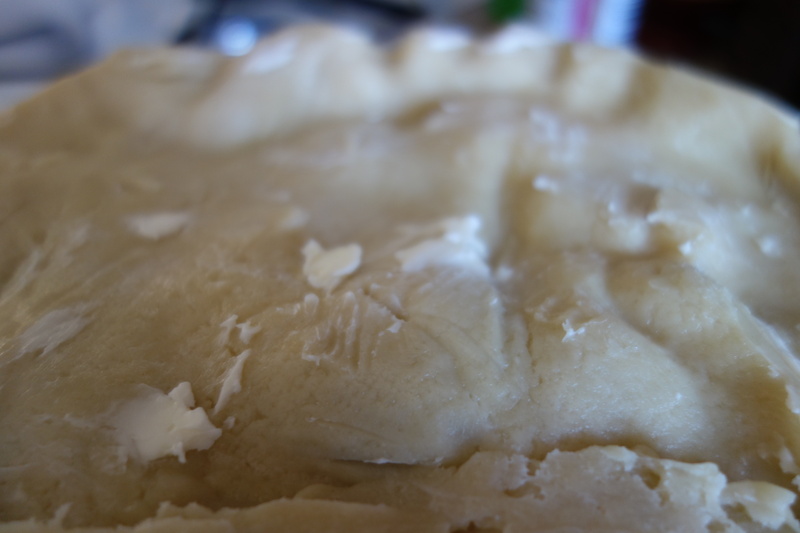 Add a little butter to the top of the pie crust, too. Guess we’re making this like we’re from the South… If you are averse to butter, you can use an egg wash on top instead. However, butter really isn’t that bad for you so don’t be afraid of it. It’s just a little bit. 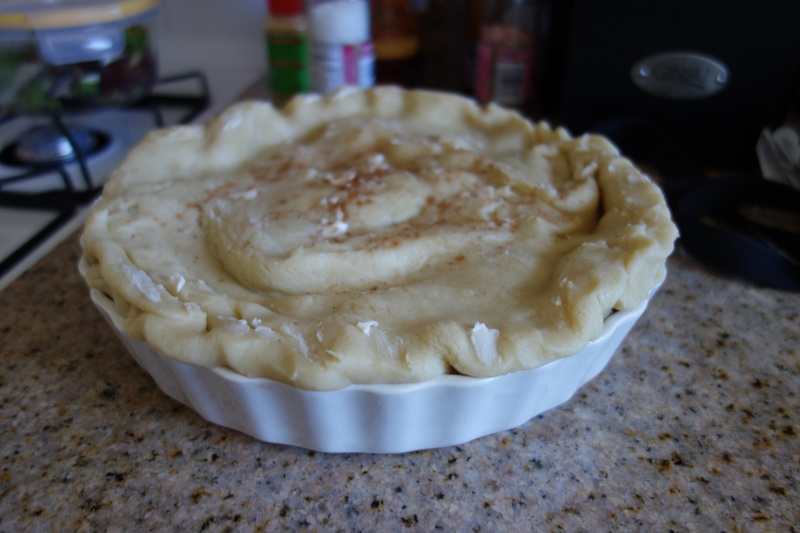 Sprinkle cinnamon and nutmeg on top of the pie crust and poke a few holes in the top crust before baking. Remove the cobbler from the oven when it is a nice shade of golden brown. Serve hot with a side of vanilla ice cream or frozen yogurt. 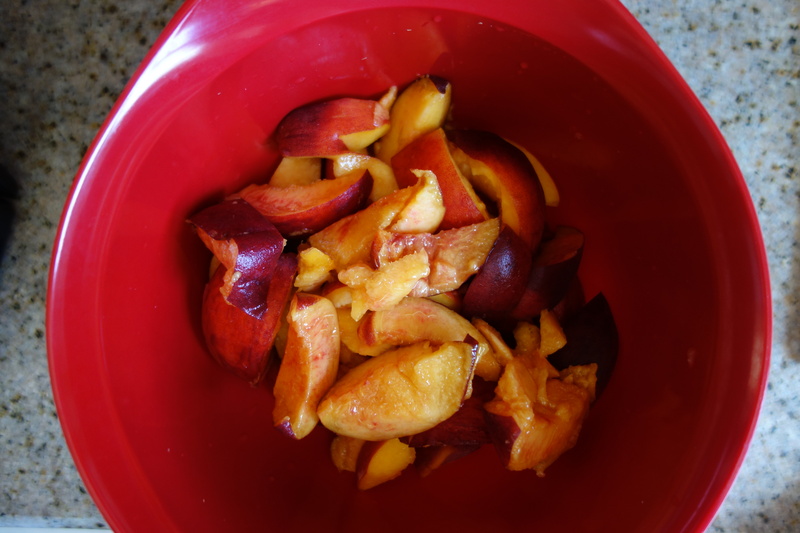 Pit and slice the peaches into wedges, add to bowl with as much peach juice as possible. 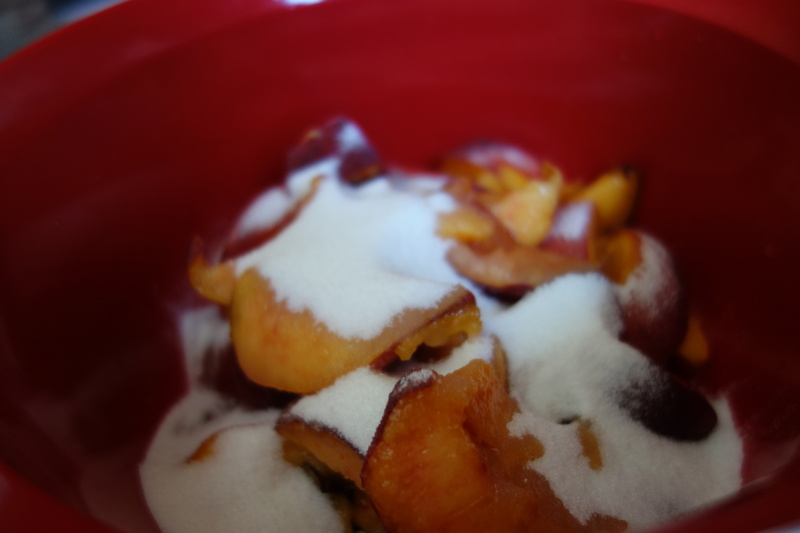 Add sugars to bowl and mix with peaches. Add cinnamon, nutmeg, and salt. Mixing after adding the spices. Add flour and baking powder, mixing after the addition. Put pie crush in baking dish. Add peach filling. Add 1/2 tbsp butter. Put on top pie crust. Poke a few holes with a fork. Butter pie crust and sprinkle cinnamon and nutmeg on crust.